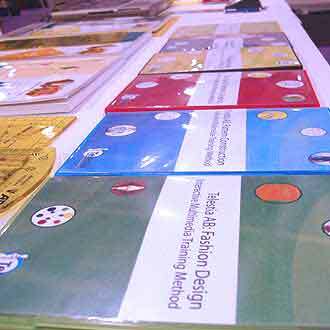 Pricing information for online training courses in pattern making, fashion design and sewing. 2 weeks online tutor support. Includes 32 out of 138 lessons of the full Womenswear Course in three steps. Includes 57 out of 138 lessons of the full Womenswear Course in three steps. Includes 49 out of 138 lessons of the full Womenswear Course in three steps. Includes 67 lessons incl. skirts, blouses, dresses, sleeves, collars etc. Includes 27 lessons incl. shirt, sleeve, trousers and jacket blocks. Includes 31 lessons incl. sizing tables, terminology, basic blocks.